On Friday, March 21, 2014, the city of Atlanta kicked off an eight-day celebration of all things STEM. The event, The Atlanta Science Festival, was over two years in the making, according to one of its co-founders Jordan Rose of Emory University. The leadership team and advisory committee pulled together several dozen disparate organizations throughout the region to provide educators, families and scholars a glimpse into the emerging STEM sector that has been embraced by the nation and that has been heavily courted by the city. The old guard, including Georgia Tech and Emory University, leaders in engineering and bio-medicine, stood side-by-side with institutions which have newly recognized the significance of the sciences in other fields. Throughout the week, the doors to community-wide centers were open to showcase ongoing programs and to provide support and engagement opportunities to the public. Within three days, I traversed across throughout the city to participate in some of the most feted events offered during the festival. Last year, during our Summer’s Cool academic camp, my students and I visited the Carlos C. Museum while we toured the campus of Emory University. The three story museum’s collection spans thousands of years several continents. The smattering of artifacts, including African masks, embalmed Egyptian mummies and shards of Greco-Roman vases, became the featured resources of integrated STEM lessons. Using a problem-based approach, students engage in an inquiry based on conservation methods employed by museums. The teachers who presented during the event were highly enthusiastic about the activities they created. Among the several showcased that evening, the fibers inquiry to test the acidity of paper was the most accessible to all learners. This activity, which also included a reading about the Egyptian goddess Isis, would undoubtedly pique the interest of young people in the classroom. The following day, I scooped up my ladybugs and headed over to Spelman College to see their all-girls robotics team, SpelBots. The auditorium-filled expanse of giggly tikes were amused by Sugar and Spice, the two humanoid robots which responded to audio commands. The kids were amazed by how the robots were able to move and interact with the people in the room. 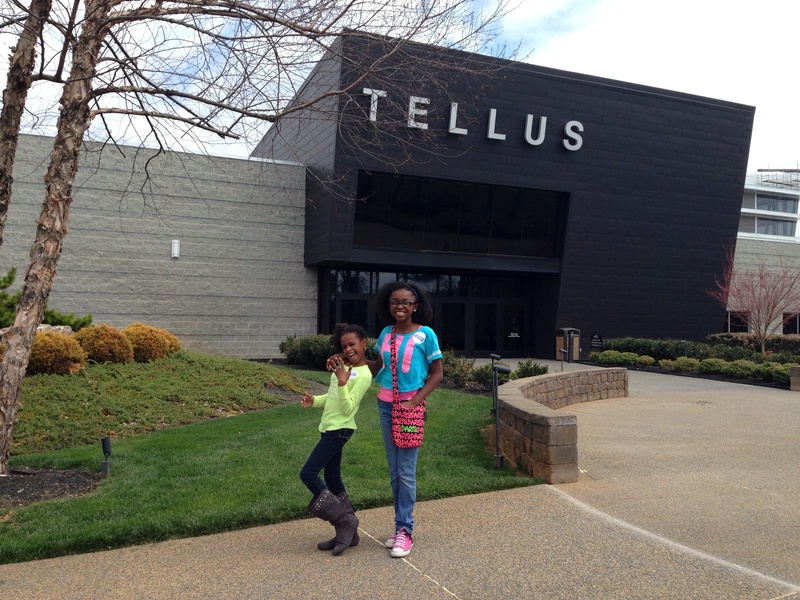 Our three-day exploration into STEM was rounded out by a visit to the stellar Tellus Museum. This science center includes galleries featuring dinosaur fossil replicas, remnants from space shuttles and minerals from around the world. My ladybugs were enamored with the hands-on children’s learning gallery. Within it, they were able to participate in several investigations related to light, meteorology and energy. Although we did not have an opportunity to visit the onsite planetarium, we did have a chance to explore the Solar House constructed in 2002 by a team of Georgia Tech students. This phenomenal space showcased how different energy choices can positively impact our environment, including the use of LED lights, water cisterns and celestories. Kudos to the Atlanta Science Festival team for delivering a high octane STEM experience to the city of Atlanta. I’m sure this is only the beginning. "Atlanta Surges Into the STEM Sector" was written March 24th, 2014	by ayaacademy, and filed under Uncategorized and tagged Atlanta, Atlanta Science Festival, emory unive, family engagement, outreach, Science, Spelman, STEM, Tellus.